We need to expand our definition of coding. As coding begins to seep into digital technologies curriculums across Australian schools, this transition can at times be seen to equate with raising a classroom of coders. Craig Smith, Deputy Principal of the Aspect Hunter's School for children on the Autism spectrum, wants us to take a few steps back. "Rather than thinking every kid will end up being an app developer one day, we're seeing it from the perspective that there are fundamental ways of addressing independent life skills and ways of thinking that coding is able to uniquely tap into," Smith told The Huffington Post Australia. If we can expand the definition of coding, I believe we can achieve some interesting learning outcomes for every child. "Our kids are looking at the world around them and they are wanting to solve problems using technology. Their skill set is already very much in that digital space, so it's our role to allow them to engage with it in an active maker fashion." Smith and his team at Aspect Hunter School, a transition setting for children on the Autism spectrum before they move into local primary schools, have developed Code For Life, an iTunes U-course that uses coding to teach students how to develop and manage their daily routines. "For our kids, who might be doing well academically, daily life skills can be a significant challenge. We were interested in how we could use the early learning experiences of thinking in code to help us to solve these challenges," Smith said. This came at a time when Smith and his staff were well and truly in a digital classroom mindset. The architecture of the brain of a child with autism is wired around 90 percent of the input they are receiving as visual. "Children with Autism are very visual learners and the iPad has played a huge part in us delivering interactive learning. We also have lots of kids who, from a young age, have shown an interest in making their own apps," Smith said. "When coding entered the scene, we were interested in the potentials there. But rather than our kids jumping straight into the difficult language of coding, we wanted to take a step back." The architecture of the brain of a child with autism is 90 percent visual. The series of lessons in the course, available in schools and at home, helps students learn to analyse and understand their daily routines through "early computational thinking". "Kids will pick a particular job that they do at home and write a step-by-step sequence, taking into account various cause and effect scenarios, before giving it to another student who acts it out and gives feedback," Smith explains. "The next stage is translating that into concrete activities involving blocks and leggo, to turn these into visual steps. 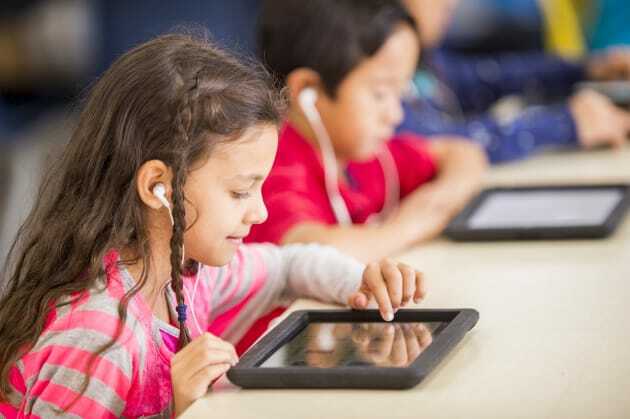 Then we would look at different apps and coding software, like Swift Playground, to translate these into digital and text-based coding steps." And the response among students has been positive. We see this as a universally relevant way of teaching. The lessons learned translate far beyond kids on the spectrum. "It taps into our kids' special interests and the way in which they like to learn. If we have a particular coding activity, and a child has a strong interest in dogs, we can infuse that interest and coding activity to tap into what really motivates them." While 'Coding for Life' was born out of an environment working with children on the Autism spectrum, Smith said the the skills and learning experiences are not condition-specific. "We are in a position where we are thinking about certain corners of teaching that a lot of other schools may not be thinking about. Some may think that helping a student to move through getting dressed in the morning falls outside the realms of school," Smith said. "Broadly speaking, we see this a universally relevant way of teaching. The lessons learned translate far beyond kids on the spectrum."